Achieving success in any form of marketing is something that requires commitment and dedication. The truth is that being efficient in marketing is going to demand that you make the best possible use of the most popular social platforms. Today, we are going to be talking about Instagram and the stats that every marketer should know for their 2018 campaigns. Yes, the truth is that Instagram has become an essential part of any marketing plan and campaign. Modern business users are making the most out of this platform and this means that it has become a compelling networking place for many industries and niches. There was a time when people would only follow friends accounts n Instagram, but that has changed a lot in the last few years. Users are now following business ventures that sell products and services that interest them. There are so many people using Instagram now that the ad revenue is expected to reach the 7 billion dollar mark. This means that the increase in revenue has been of at least 1 billion per year with 5 billion being the record or 2016. We all know that photos are the main reason why Instagram was started, but the evolution of marketing and social media, in general, has made it easy for videos to become essential in marketing. The geo-tagging feature on Instagram has proven to be extremely effective when helping marketing strategies. The use of these geotags creates a huge increase in engagement. It comes as no surprise that weekdays are the most likely time for people to engage on Instagram. Most people want to use the weekend for fun and relaxation and they prefer the social aspect of the platform during those days. The weekdays are more likely to be about business. There are very few things as powerful in the world of social media as the ability to get an influencer to mention your business. 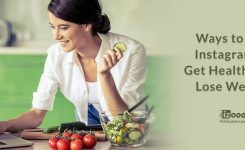 This is not only going to help you achieve better results, but it will also allow you to see an incredible increase in your general engagement. 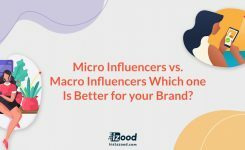 Keep in mind that influencers are very active on the platform and this increases your chances of networking with them. Video marketing continues to be on the rise and this is an undeniable thing, but the truth is that Instagram continues to be ruled by photos when it comes to engagement. Videos are becoming popular, but photos, in general, are more likely to engage their audience. There seems to be at least a 38% of changes of more likes for images that contain faces. This is increased even more if the faces are smiling, but the main factor is that faces are in the images. This is the main reason why many business ventures are considered the use of user-generated content in their campaigns. It just makes things more personal and likable in general. The Emoji has become an extremely useful and powerful way for people to communicate faster in Instagram. It’s important for any marketers to learn to use these Emojis and to make the most of them when engaging their audience. Take the time to learn the meaning and the use of each of the most common Emojis and this will give you a great marketing advantage. This age range is one that has a predominance of users. The best thing about this particular age group is that they are the highest consumers of products and services. This is more than enough of a reason for you to make sure that you engage them. 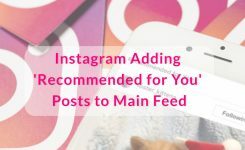 You have a very vast market in the US when you look for targeted traffic on Instagram, but you also have a wealth of international prospects if that is what you are looking for. Being able to tap into as many markets as possible is always going to be an advantage. Knowing this kind of stats is going to allow you to get a true competitive edge on your business. Just make sure that you can put each of these stats to practice in your campaigns and you will see an increase in your conversion levels. This is crucial for your success in modern times because your competitors are also doing this all the time. It’s always useful and important to consider automation tools to make the most out of each of those stats. Just be sure that your Instagram bot or any kind of software for automation is not going to get you banned. Finding quality automation tools is essential to your success. There are also many things to consider about these stats when you start your campaigns. The more you analyze each of them, the easier it becomes for you to tweak your marketing strategies and get the best results from the campaigns.